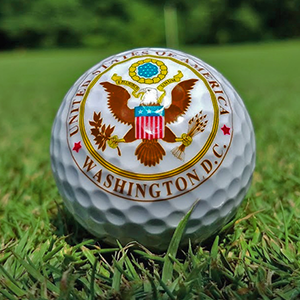 Washington DC Gift Shop is proud to honor the dedication and service to workers of this great nation. 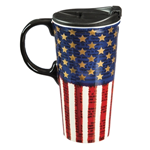 Choose from any of our patriotic items to make the perfect gift for your favorite retiree! 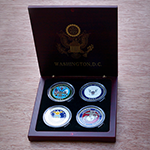 Four gold plated Armed Forces coins (Army, Navy, Airforce, Marines) placed in our elegant Great Seal wood case.